Saturday Night during the inaugural USA Weightlifting Coaching Symposium (amazing event by the way, great job Coach Mike Gattone and staff), I was talking to my friends JP and Mark. We were hanging out at the bar after a long week of coaching and presenting. These two men don’t realize it, but I look up to both of them. 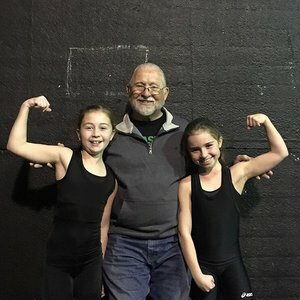 They are more experienced in the world of weightlifting, so for them to take the time out of their evening to chat with me meant that absolute world to me. They were both giving me feedback about my persona online versus in real life. That’s actually a really good blog for later that I look forward to publishing. It was at that moment that I all of a sudden realized we are all so blessed to be a part of this organization. It’s a family, and the deeper you get into its very core, the more of a family it becomes. I witnessed the generosity of this immense family firsthand, when I announced the GoFundMe account for my long time friend and mentor Coach Don McCauley. The very first donation was from my buddy Chad Wesley Smith. This has to be the only industry in the world where competitors are buddies. Heck we help each other. That couldn’t be truer with my friends like Dave Spitz and Dane Miller. I would let them both look at my complete infrastructure if I thought it might help them. We continually bounce ideas off of each other, and we celebrate each other’s victories. I would personally help any of these men if they failed, and I am sure that they would do the same. That’s the only way that one can find job security in such a new and volatile industry, through relationships. Then when you look at what Phil Andrews and the crew at USA Weightlifting has accomplished over the last few years, you can’t help but to be excited for the future. Our athletes have never in the history of weightlifting been supported so well. Stipends are higher than ever. Athletes have access to help with nutrition, recovery, rehab, and so much more. This weekend, we were told that USAW is about to roll out a scholarship fund for the top young athletes in America. No longer do we, as coaches have to send them off to colleges around America. Now thanks to the hard work of the folks at USA Weightlifting, our athletes can stay local with the coaches that they feel comfortable with and with the coaches that helped them get to where they are. This is not to say that the college programs aren’t good, they are a great option for some young athletes, but it’s nice to have this option for my young men and women. This is my dream. Now I can go out there and tell parents that there is a real future with weightlifting. If you have the skills, you can go to college, earn big stipends, and travel the world for free with Team USA. Coaches, it is up to us to get out there and spread the word. Suzy Sanchez is crushing it, but we are already submerged in our communities. We have to get our butts out of the gym once in a while and make an impact within our communities. USA Weightlifting is now doing their job. Now it’s our turn. I have listened to coaches complain about this and that. Well Phil has pretty much handled every complaint that I have heard mentioned. Now it’s time that we look ourselves in the mirror, and ask, “What are we prepared to do?” That’s a big question man. 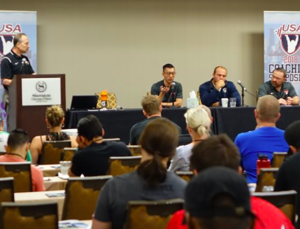 Free Informational Clinics- once a month we could open our doors, have our athletes put on a show for people, and explain to them all the benefits of weightlifting. We could explain how it helps performance in other sports, and now we can talk about the benefits of being a top athlete in our own beloved sport. Get Involved- this is one that I am personally going to work on. Join your chamber of commerce, and let them know what you are doing. Let them know the accomplishments of your current athletes. You can join other clubs and organizations and simply get to know the people around you. 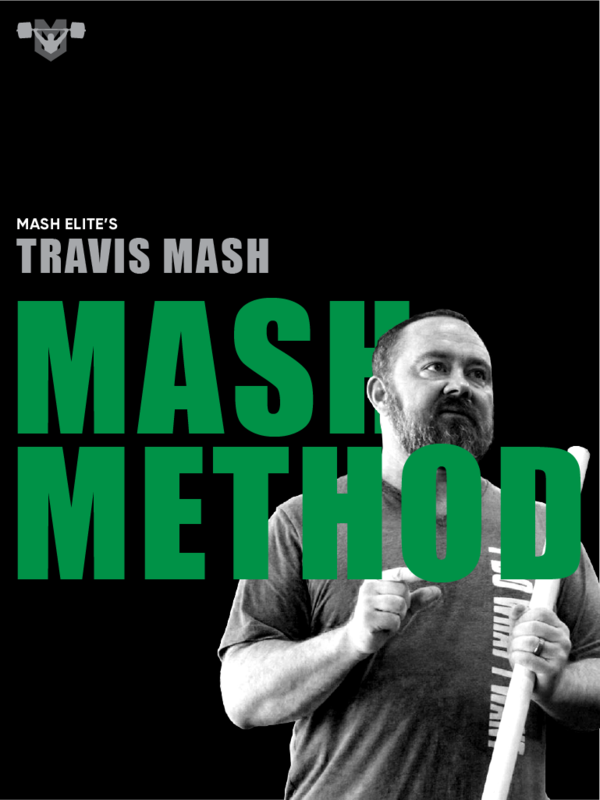 Put on Demonstrations at Schools and Community Gatherings- let them see exactly what can be accomplished with the sport of Weightlifting if taught properly. Produce- there is no better marketing than winning. When you win, make sure that you are contacting the newspapers and local television news sites. We have already received lots of free publicity from stories that the television stations and local newspapers have run on us. The cool thing is that it gets easier each time because you will develop relationships with the reporters. Pick an Outlet- obviously I like to write. With the Internet, all of us have several options to get the word out. Now you can blog, podcast, vlog, and we can all use social media. It’s a must. You can avoid it all you want, but you will only be hurting your club, your athletes, and the whole sport. We are all provided with these many ways to share our thoughts about the things that we love. Personally I want the whole world to know how much I love Weightlifting. I want the whole world to fall in love with it like I have. Thanks to the efforts of USA Weightlifting, our coaches, and our amazing athletes crushing it at the International level, we all have something special to share with the world. We are finally a part of something that we have all longed for. We are WINNING at the world level! There is no denying that anymore. Our athletes aren’t satisfied with just being there. I have watched the culture shift from last quad to this one. No one has an easy route to the Olympics anymore. You have to earn that mess now! Last quad, I heard athletes creating strategies to sneak on teams. This quad, I hear athletes creating strategies with their coaches about winning World Championships and the Olympics. It’s here y’all. We don’t have to sit around complaining and dreaming. We are living that dream. The point to this message is that we should all stop for a moment to enjoy what we’ve all been a part in creating. We are all about to be a part of the biggest competition in the history of Weightlifting at the AO3. It’s all of you that work hard to climb the ladder of success in the sport that is fueling the fire for USA Weightlifting. It’s all of you coaches preparing your teams and recruiting new members. If the sport weren’t growing at a record rate, there wouldn’t be any funds for our top men and women. We wouldn’t be winning without this popularity. Guys, we are a part of something great. If we can all continue to support one another, we can truly change this sport forever. Our dreams can all come true, and we can be a part of one amazing family during it all.